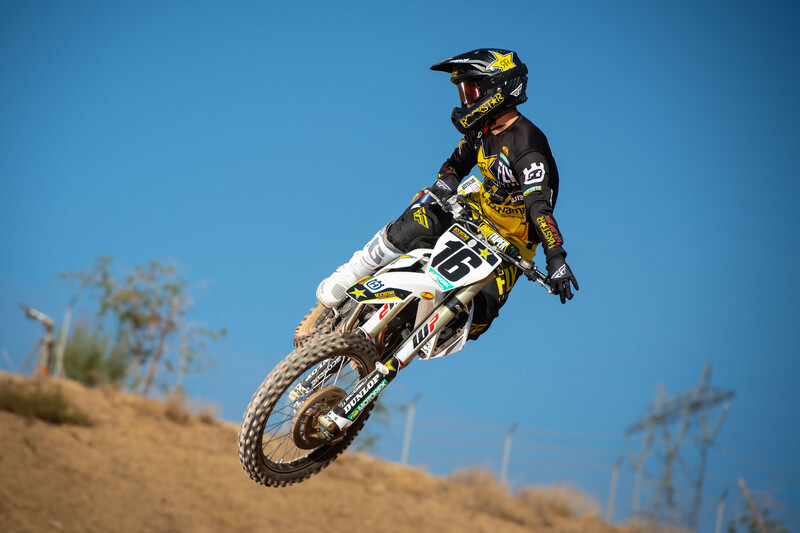 Comment: Bloss tore his ACL before the season and is expected to miss all of Monster Energy AMA Supercross. He’s working on being ready for Lucas Oil Pro Motocross. Comment: Bisceglia crashed during practice in Glendale and suffered a concussion. He’s out for Anaheim 2, but wrote on Instagram that he expects to be back for round four in Oakland. Comment: Peick has undergone multiple surgeries after suffering major injures at the Paris Supercross. If you want to help him with his long and difficult recovery you can do so at the Road 2 Recovery. Comment: Raper does not have a timetable on his return after breaking his pelvis, a pair of vertebrae, and his nose in late November. To help him through Road 2 Recovery, click here. Comment: Savatgy crashed in his heat race in Glendale and did not return for the LCQ. According to the concussion program for Monster Energy AMA Supercross, “If a concussion is suspected, the rider is required to go directly to the Alpinestars Mobile Medical Unit. The athlete is not allowed to return to practice and/or racing until additional testing is performed.” Earlier this week Savagty posted on Instagram that he’d be back for A2. Comment: Stewart suffered a cringe-worthy crash last week in Glendale as he was exiting the whoops. He broke his femur in the process, prompting a red flag. He’s had surgery and is out for the foreseeable future. Comment: Tedder hopes to be back riding in mid-February and racing a few weeks after that. His return to racing was delayed due to having to have his ulna broken and shortened because it was rubbing on his radius. Comment: Ames has had a rough go of things after sustaining a compound fracture to his left radius and ulna before the season. He’d later develop compartment syndrome, and after that was forced to deal with an infection inside his forearm. He’s out for the foreseeable future. Comment: Craig will focus on being ready for the 250SX East Region after sustaining a Bennet Fracture in this thumb while practicing. Comment: Martin is out for the year due to a burst fracture to his vertebrae sustained last year at Muddy Creek. Martin had successful surgery last week to have the hardware in his back replaced. Comment: Sexton is working on being ready for the 250SX East Region after suffering a pre-season collarbone injury while mountain biking.